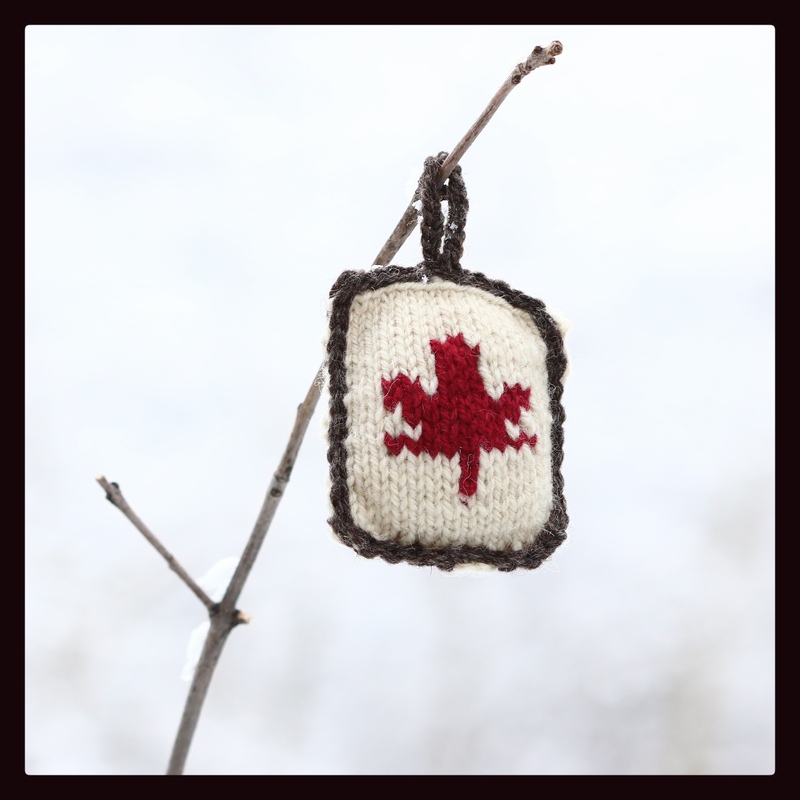 The maple leaf motif is the newest knit in our line of gifts and accessories. I had an inquiry last week where the customer was sending gifts outside of Canada and wanted something very Canadian AND made in Canada. A few hours of knitting later and we now offer items sporting the red maple leaf that we all love so much. Unfortunately the Bottle Sweater and Coffee Mug Sweaters have already sold, but the ornament shown is still available from the gallery at the Frame It Store in Red Deer, Alberta (Canada). 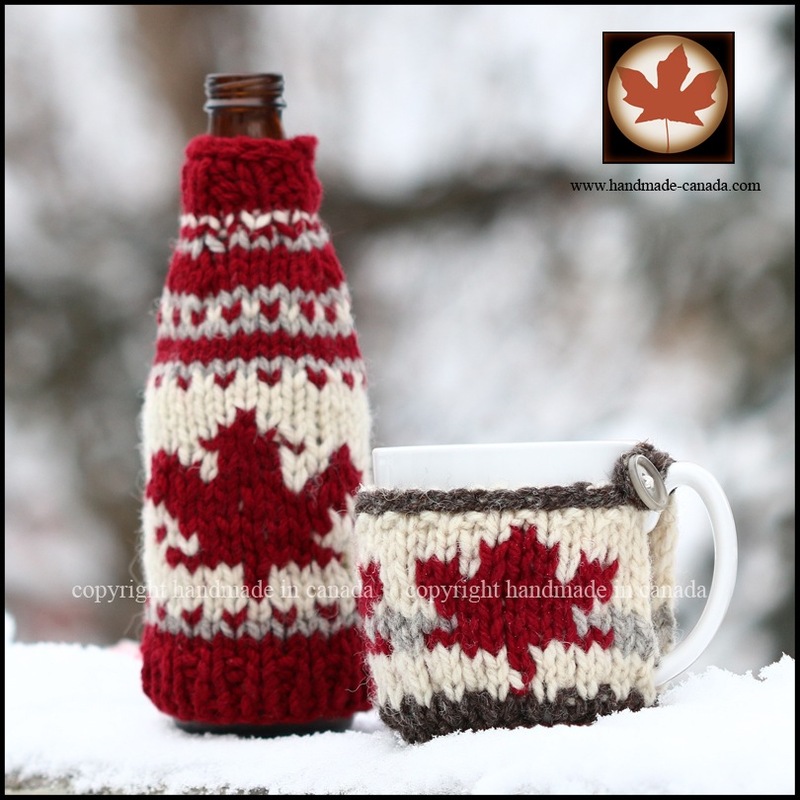 More maple leaf items will be available in the new year, but if you can’t wait until then feel free to email me at handmade-canada@outlook.com and we can make arrangements to knit up a custom piece just for you. Please visit www.handmade-canada.com to see all our items that are handmade in Canada!